The name of Peoria’s bioscience incubator has changed but its mission remains unchanged on the verge of its launch. BioInspire, previously Peoria Incucelerator, is expected to open early next month at 13660 N. 94th Drive in Plaza Del Rio near Loop 101 and Thunderbird Road. The incubator is a partnership among the city and BioAccel, a Phoenix-based non-profit that works to commercialize life-science technologies, and Plaza Companies, a Valley-based real estate firm that specializes in medical office, technology and bioscience facilities. Almost every day, as CEO of Arizona’s Bioindustry Association, I see and hear about the most amazing things. I meet researchers, innovators and entrepreneurs who are discovering and developing new ways to feed the world, create alternate sources of energy, and are delivering innovations that sustain, improve and save lives. I meet lawyers, bankers, investors, advisers, economic developers and leaders committed to do helping them do just that. How do I connect to partners? How do I connect to capital? Where do I find the talent I need to grow my team and my business? Are the resources I need available here? How do I let people know how what we have/do can help them? How can I help my elected officials understand what we need to succeed? The underlying belief is that we each could be more successful if we had the answers to those 6 questions. Whether it is showing up at events, at capital conferences, at industry gatherings, or at the State or Nation’s Capitol, showing up is the first step towards getting the attention, shared understanding, support and resources we need to succeed. Showing up and engaging person-to-person lays the foundation for relationships, future collaborations, and partnerships. We miss the chance to tell our story, demonstrate our expertise, or gain acceptance for our innovation, product or service if we do not connect and engage with others. When we show up we often find that we are not alone. Lots of folks understand the importance of showing up and do it consistently. So the next step is making sure we stand out. There are many strategies for standing out from the crowd. Here are just a few. Show up consistently. When you do, old friends look for you and new contacts are told to keep an eye out for you as someone they will want to meet. Demonstrate what you do or have to offer. For example, the top 10% don’t just show up for trade shows and conferences, they are on center stage and top of mind with exhibits, poster presentations, sponsorships and ads. They are easy to spot and much less likely to get lost in the crowd. They are much more likely to be remembered the next day too. Offer assistance. Those that help others get singled out, are at the center of the action, and rarely get lost in the melee. Deliver value. Nothing makes a longer lasting impression. This Spring AZBio has a number of opportunities for you to Show Up and Stand Out. 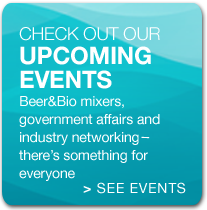 From simple community gatherings in each region like Beer & Bio to statewide events like the AZBio Expo and at national conferences including the Bio International Convention and AdvaMed 2012, AZBio is committed to providing you with the opportunity to show up, stand out and get noticed. Want more opportunities to get engaged? Every week we’ll keep you In The Loop with the latest events and up to date schedule of where you can show up and stand out. 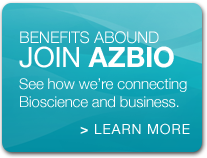 Plus, you can find national opportunities by subscribing to AZBio Opportunity Alerts at AZBio.org. 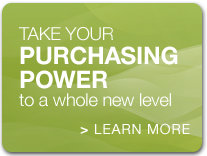 It’s all part of AZBio’s commitment to you and to your company. We’re keeping our community connected so that together we all keep moving forward faster. There is a lot happening on the medical device front these days around MDDS (Medical Device Data Systems) and the FDA is paying close attention with new regulations, guidance and requests for comment. With the April 2012 compliance deadline less than 8 months away, AZBio Member John C. Hoffman of QMR is paying close attention too and keeping our community in the loop via the AZBio Resource Network Group on LinkedIn. If you and your team are working in the MDDS space, you’ll want to get connected and join the discussion.